Rain, sun, trees, oysters (so many oysters). Campfires, card games, bikes, food. 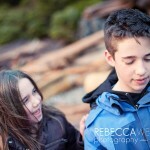 My regular instalments of Quadra Island adventures are quickly becoming some of my favourite stories. This time, I packed as much as possible into 1.75 days. And it was worth every second of travel. Mini me.